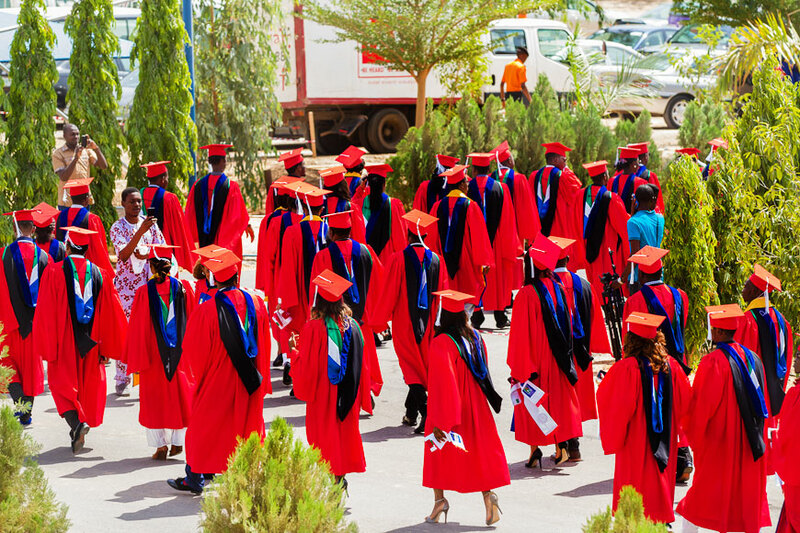 The Commencement Ceremony at the American University of Nigeria celebrates the accomplishments of our graduating class. It consists of three major segments: Senior Week, the Graduation Awards Ceremony, and the Commencement Ceremony. The Senior Week is a week of activities designed for the graduating seniors. A series of activities such as Life After College, Senior Night of Lights, and the Senior Ball, are organized to both prepare the seniors to face challenges of life after university, and simply to celebrate! The 2019 senior week runs Monday, May 13 to Saturday, May 18, 2019. The Graduation Awards Ceremony recognizes the various accomplishments, hard work, and service, of our graduates from all schools and the graduate school. This awards ceremony is in two segments: AUN Honor Society Awards Banquet and the Graduation Awards. The AUN Honor Society Awards Banquet is particularly for the graduating members of the AUN Honor Society and it celebrates the exceptional hard work and exemplary leadership of graduating members of the Honor Society and the leadership. The next AUN Honor Society Awards Banquet is scheduled to be held on Thursday, May 16, 2019. The Graduation Awards ceremony is for all members of the graduating class and their family members. At this ceremony we give out over 50 different types of both university and corporate sponsored awards to the graduating students. The next Graduation Awards Ceremony in honor of the graduating class of 2019 is scheduled to be held on Friday, May 17, 2019. The Commencement Ceremony is the grand finale as we confer Bachelor and Master’s degrees, as well as the postgraduate Diploma, to eligible candidates. This ceremony, with attendance in the thousands and national television coverage, involves a keynote commencement speaker and the bestowing of honorary degrees. The next Commencement Ceremony which will be the 11th, in honor of the graduating class of 2018 is scheduled to be held on Saturday, May 18, 2019.